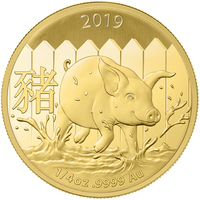 The Royal Australian Mint produces Chinese Lunar New Year coins, in order to commemorate these popular Chinese annual festivities. These stunning coins were first introduced in 1996 and they are produced each year to follow the tradition of representing one of the animals symbolizing the Chinese New Year. The Royal Australian Mint produces Chinese Lunar New Year coins, in order to commemorate these popular Chinese annual festivities. These stunning coins were first introduced in 1996 and they are produced each year to follow the tradition of representing one of the animals symbolizing the Chinese New Year. This aspect also makes the coin very unique and makes them an excellent investment opportunity. They are one of the only coins on the market that change their design annually to match the Lunar New Year, making it also an excellent collectors coin. 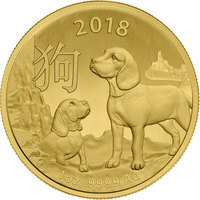 The obverse side of the coin elegantly displays the animal that coincides with the Chinese Lunar New Year. The reverse side of the coin displays the image of Queen Elizabeth the II.